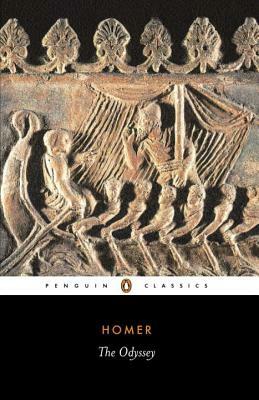 If the Iliad is the world's greatest war epic, the Odyssey is literature's grandest evocation of an everyman's journey through life. Odysseus' reliance on his wit and wiliness for survival in his encounters with divine and natural forces during his ten-year voyage home to Ithaca after the Trojan War is at once a timeless human story and an individual test of moral endurance. E. V. Rieu’s translation has long been beloved and celebrated by scholars and readers alike, and for this Penguin Classics edition, classicist D. C. H. Rieu has revised the work of his father. This edition also includes an introduction by Peter V. Jones. Homer was probably born around 725BC on the Coast of Asia Minor, now the coast of Turkey, but then really a part of Greece. Homer was the first Greek writer whose work survives. He was one of a long line of bards, or poets, who worked in the oral tradition. Homer and other bards of the time could recite, or chant, long epic poems. Both works attributed to Homer – the Iliad and the Odyssey – are over ten thousand lines long in the original. Homer must have had an amazing memory but was helped by the formulaic poetry style of the time. In the Iliad Homer sang of death and glory, of a few days in the struggle between the Greeks and the Trojans. Mortal men played out their fate under the gaze of the gods. The Odyssey is the original collection of tall traveller’s tales. Odysseus, on his way home from the Trojan War, encounters all kinds of marvels from one-eyed giants to witches and beautiful temptresses. His adventures are many and memorable before he gets back to Ithaca and his faithful wife Penelope. We can never be certain that both these stories belonged to Homer. In fact ‘Homer’ may not be a real name but a kind of nickname meaning perhaps ‘the hostage’ or ‘the blind one’. Whatever the truth of their origin, the two stories, developed around three thousand years ago, may well still be read in three thousand years’ time. E. V. Rieu was a celebrated translator from Latin and Greek, and editor of Penguin Classics from 1944-1964. His son, D. C. H. Rieu has revised his work. D. C. H. Rieu is the son of E. V. Rieu, celebrated translator from Latin and Greek and Editor of Penguin Classics from 1944-1964. Peter Jones is former lecturer in classics at the University of Newcastle upon Tyne.